Ahwatukee has seen its first million-dollar home change hands this year. A 5,000-square-foot home at 15821 S. 7th St. sold recently for $1.3 million, according to mls.com listings. 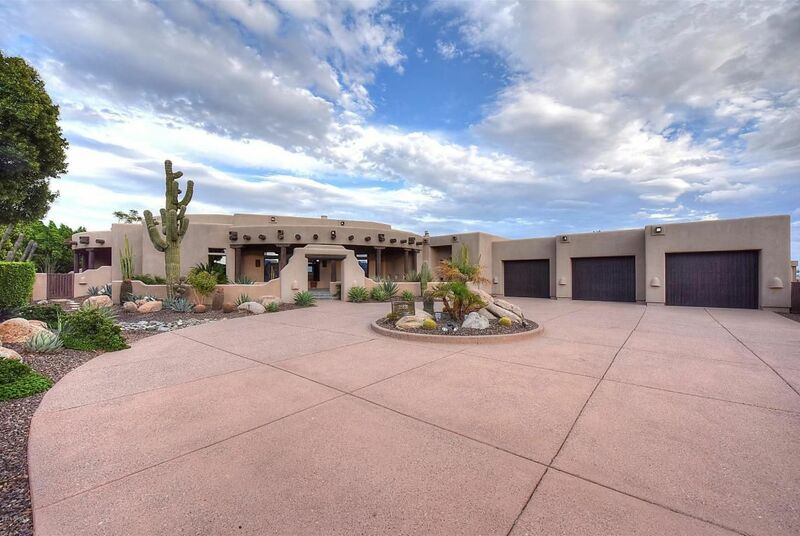 “This Santa Fe style resort-like property boasts covered patios surrounding the home, with unobstructed views of the South Mountains to the north, and sunrise skies to the east,” mls.com boasted of the Eagle Ridge estate. That view can be enjoyed on an outdoor patio described as “an entertainer’s dream” as well as on private patios outside the master bedroom and guest suite. Matching the four fireplaces inside the home are two more outside. Besides two fireplaces, the outdoor area includes a pool and heated spa, full kitchen and even a putting green. 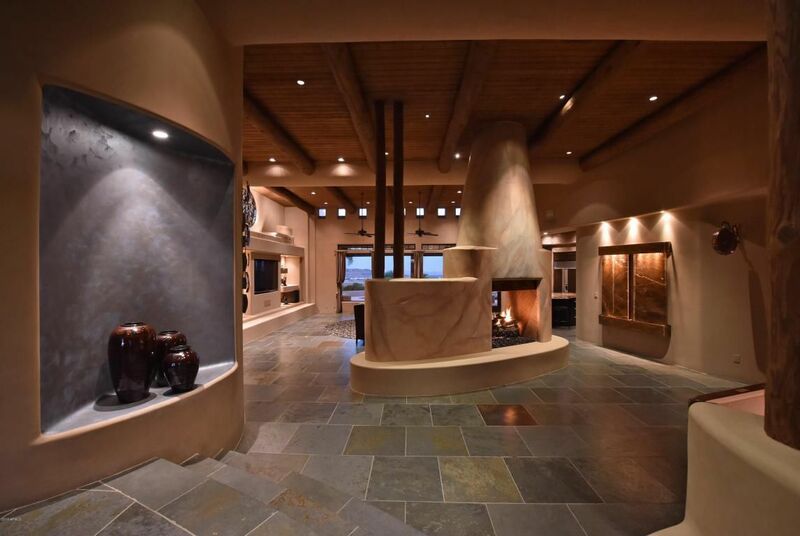 Inside, “rough-sawn tongue-and-groove boards with massive rough-hewn timber beams cover the soaring ceilings,” adding to the Southwestern décor. Simultaneously, softer contemporary touches abound through the home, which has three-plus bedrooms, four bathrooms and a spacious office/den that can be converted into a bedroom.